Everything that attempted to write the past 2 weeks is gone!! But nvm. I find it hard nowadays to blog about the happenings of my life. Maybe its the thought that, who would wanna know whats happening anyways…OR..i would probably blog about the same things over and over again and sound like a broken recorder. 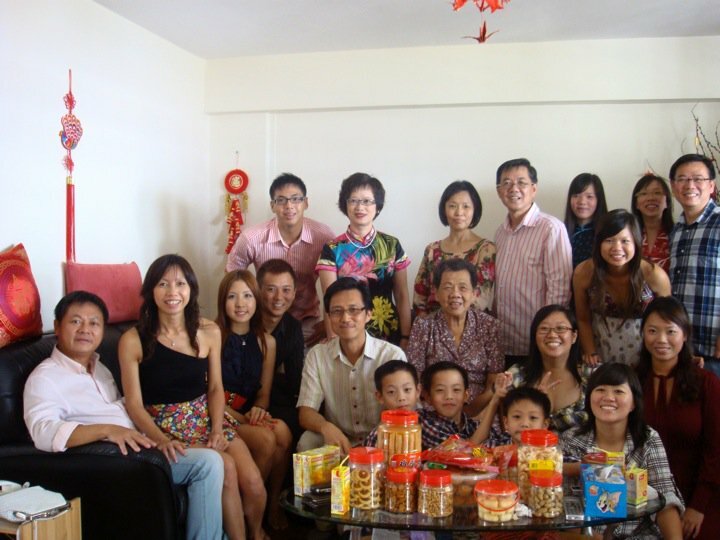 I love CNY and Christmas as it is the only time of the year i get to meet my extended family. In the past, every gathering always contained convos about the children’s results, school etc. Nowadays , its about who has higher cholesterol and blood pressure levels, uncles, aunties and grandma asking why i don’t have a boyfriend. SAY WHat? sorry. even if have also maybe dun have time loL! All these endearing and sometimes embarrassing put-u-on-the-spot questions can sometimes be frustrating and make me roll my eyes haha.. But at the same time, i thank the Lord that all of my extended family members have come to know him and for the opportunities to pray together as a family 🙂 THank GOd for them!! May we continue to glorify him! wa! u took soo long to update ur blog! miss your presence in adelaide! Hope u r having a great start to the new year..
Miss all of u too! chat soon!